Since the release of their second artist album "Group Therapy" ("the biggest artist album of the year 5*.” Mixmag), Above & Beyond have toured the stadiums and concert halls of the world - creating an electric vibe wherever they go. For 2012, the globe-trotting Above & Beyond will embark on their biggest UK tour to date kicking off at London’s most prestigious concert venue Brixton’s O2 Academy on Saturday 7th April 2012 followed by performances in Birmingham, Leeds, Liverpool, Newcastle and Glasgow - bringing the full Group Therapy production with them. The Group Therapy show offers a unique dancefloor experience to fans, with emotive visuals telling the tale of the tracks being played and live video messaging from the band adding to the story-telling theme. Featuring previously unheard and exclusive club mixes of the tracks on the album, the April tour will represent the Above & Beyond experience at its biggest, boldest and most electrifying. 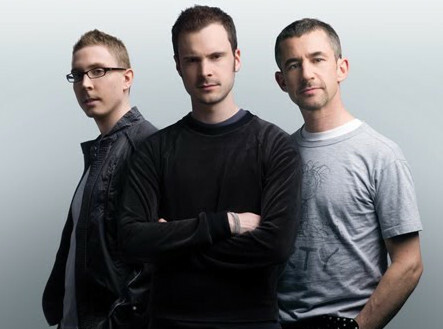 In the US, Above & Beyond's now numerous multi-date tours have seen them sell out the famed Hollywood Palladium in record time and rock a crowd of 80,000 at the Los Angeles Coliseum. In Australia, they have performed to capacity crowds at world famous venues like Hordern Pavilion in Sydney and Festival Hall in Melbourne. For the 400th episode of their celebrated Trance Around The World radio show, they even ventured deep into the Middle East with an eight-hour live broadcast from Beirut, Lebanon. Meanwhile their Anjunabeats label continues to unearth some of the freshest talent in the scene, culminating in a nomination for Best Record Label in this year’s DJ Mag Best Of British Awards. Commenting on the forthcoming tour Above and Beyond said: "This is our biggest UK tour to date so we're really looking forward to it. We'll be bringing home the Group Therapy show that we've toured all round the world. The UK audience is one of the world's most knowledgeable and the extent to which they have taken us to their hearts has been nothing short of overwhelming." Tickets for the UK tour go on general sale at 9am on Friday 2nd December 2011. O2 Academy Brixton priority access pre-sale tickets go on sale at 9am on Wednesday November 30th and there is still time to sign up and guarantee your place at www.facebook.com/aboveandbeyond.